Tacoma and 2001-2004 2.4L or 2.7L Tacoma/4Runner. 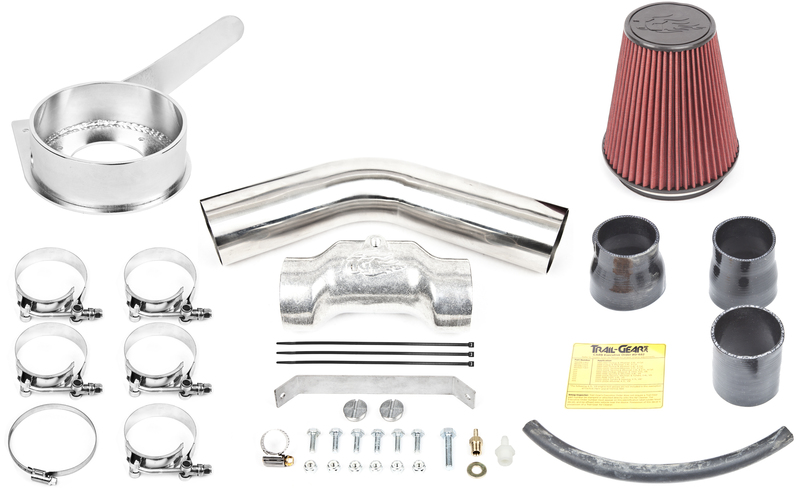 Polished stainless steel intake tubing and cast aluminum air tube with large, high-performance air filter charger. Vastly increased filter surface area helps keep you trail-running longer in dusty off-road environments. Greatly increased air flow allows for a quicker throttle response. Installation manual with easy bolt on steps. Up to an extra 5 HP and increase of up to 5 ft-lbs in torque.